I'm a bit of a sporadic gamer. I had a job where I had 3 months or so off at a time and would spend a lot of that on games. Less time off and more responsibilities now, but it hasn't stopped me from buying more games than I play! I built a new PC in Dec 2016 and so spent more time gaming in 2017. I also systematically went through and removed a lot of games from Steam that I had no interest in at all. I haven't played as much in 2018, so my stats will probably be worse this year. I have managed to stop myself from buying a lot of games, but I still buy now and then even though I have the backlog. This site has helped me to maintain some level of control!. I don't have a systematic way of approaching games. I play what I feel like at the time or what I have time to play. There are times when I force myself to put some hours into a game, but I don't think this is a great way of approaching a backlog! I list a game as beaten by completing the main story and completed by getting 100% in the achievements. I try and put 5 hours into a game even if I don't like it, just to make sure I'm giving it a fair chance before I put it in the won't play category. I've already started chipping away at my backlog, but noticed that some people keep track of their completion rate and other stats. Looks like a good motivator, so I'm making a note to track my progress. The number of games I categorized as 'won't play' is pretty high, so I'm sure I'll be re-categorizing games. The BLAEO stats might not be very accurate at the moment, I expect a lot of changes in these figures. More very old games. 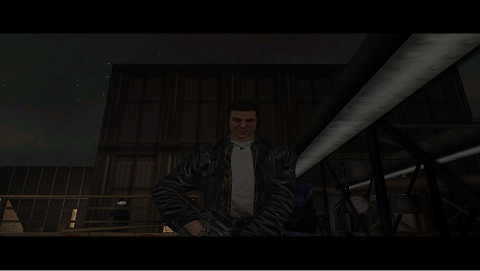 Max Payne released in 2001. I bought it in 2014 along with Max Payne 2 and 3. I had played a little, but didn’t really make an effort to complete it until this month. Very dated graphics, but a pretty fun game. There are some bugs and glitches, I’m guessing because of newer versions of windows. It runs at a ridiculous frame rate most of the time, there are some problems jumping or running in some parts of the game, and there is a risk of getting stuck in certain parts. Whenever this happened, I just did a quick search and found solutions like jumping sideways instead of forwards. Two screenshots, one from the final scene and the message you get after beating the game. There are no achievements, so after a total of 9 hours play I can mark this as complete. Straight onto the second in the series. 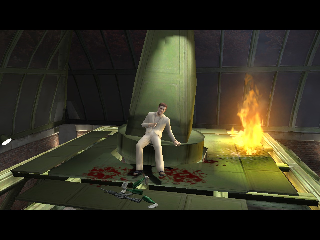 Slightly better graphics in this one and no glitches (in my experience at least). Pretty fun again. The levels were a bit more varied and you get to control a different character for some levels. Not as dark and disturbing as the first one. One screenshot this time. There was no message at the end of this one, so just a shot from the final scene. No achievements again, so after 5 hours play I can mark this as complete. Onto the last in the series. Released in 2012 and you can tell it’s much later than the others. The graphics look much better. Great graphics considering it’s now 7 years old. There are a lot more cut scenes in this game. At the start I found it pretty annoying. It reminded me of Dragons Lair, where you just sit and wait for ages until there’s a point where you interact with the game. Nowhere near as bad as those early interactive movies, but a lot more cut scenes than the others in the series and most games I’ve ever played. I got used to this after a while and enjoyed the game, but still think it would have been better with fewer clips. Right, I’ve moaned about it a bit, now the good parts. It looks great, the voice acting and dialogue is good (I’m no expert on this, but I enjoyed it) and the game seemed tighter. Changes to the controls worked well and I was never searching for keys as I sometimes did in the earlier games. The story was pretty good and it kept me interested. Unlike the earlier games in the series, there are achievements. A lot of these are multiplayer though, which I’m unlikely to get. Might add a few more to the ones I have, but I’m unlikely to get anywhere near 100%. Marked ‘Beaten’ for now. 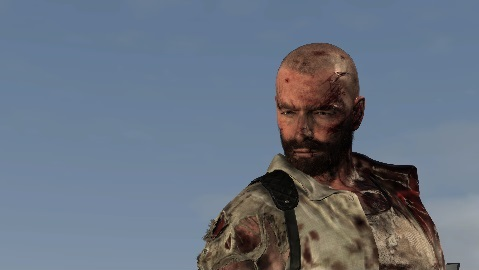 A couple of images from the final scenes below with Max looking a little like Walter White. Not the most exciting shots, but they don’t spoil the story and show the improvements in graphics. I actually beat this in January, but didn’t add it to the report. I think I expected to go back and try and get all the other achievements. I played a little more in February, but haven’t really felt the urge to go back to it. Sooo….just marking this as beaten for completing the main story for now. Fun novelty game. Not much else to say! The main appeal is the 60 second limit to each playthrough. The graphics, dialogue, or story aren’t going to win any awards. There seems to be a few instances on Steam when publishers give you an updated/remastered version of a game (in addition to the original) that means you have to finish both or have one languishing incomplete in your library. In my library, this is an issue with Darksiders (Darksiders and Darksiders: Warmastered Edition) and Red Faction Guerrilla (Red Faction Guerrilla Steam Edition and Red Faction Guerrilla Re-Mars-tered). 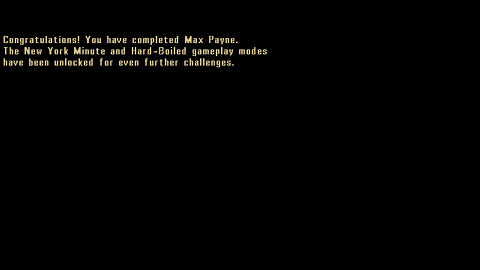 This month, I completed the main story of Red Faction Guerrilla Re-Mars-tered. For a while, I was trying to do all the other side missions, but there’s one vehicle delivery mission left that I tried to do A LOT and have given up on. I could probably get a few more achievements if I really tried, but never going to get 100% as there are a lot of multiplayer missions and the servers are empty. The game was pretty fun, mainly due to the fact you can destroy the environment. There’s nothing else that really stands out. Missions aren’t particularly good or varied, there isn’t much of a story, and the physics are a bit screwy (particularly driving). The graphics are dated as it was released in 2009 (there didn’t seem to be much difference in the remastered version to me). I certainly don’t like it enough to go back and finish the main story in the other version of the game I have. So even though I only beat one of the versions, I marked both as beaten on my BLAEO profile. Delayed my February post by a few days to finish this one. Pretty fun game overall. I didn’t really think about the achievements for a long time, then had to grind a little to get all the weapons and complete every secret level. Beating the game wasn’t that difficult. The fact that you can spend money on stats and get new guns after each try makes it easier. Haven’t completed a game fully for a while, so nice to get this 100%. Continuing the Mass effect marathon, I finished the third in the series on Origin. The initial part of the game felt like it was very limited in choice. The first missions were very guided and involved me just following another character or on-screen prompts. Thankfully this didn’t continue throughout the game and later on it felt more like the other two in the series I’ve played. The story made it feel different to the other two games in that I was being pushed towards a final aim rather than what seemed like more open exploration in the previous two. I enjoyed it, and it was nice to run into characters from the previous games, but I think I liked Mass Effect 2 better. When I was very close to the final mission, I started to wonder about Galactic Readiness. No matter what I did in the game, this didn’t seem to be changing. I’m glad that I searched online, as I probably would’ve finished the game and got a less than ideal ending if I didn’t. There was an online element to the game that increased this readiness when the game was first released. It didn’t seem to be an option playing it almost 7 years on, but thankfully they replaced this with a kind of online game. There was no skill to it at all, just clicking and waiting for a few hours then clicking again. It delayws me completing the game for 2 days while I prepared this online aspect of the game. In the end, I think it helped me to get a better ending to the game (there are multiple, I don’t think I got the ‘best’ one). Overall, a good game and one that was fun to play. In total I put 23 hours into this, but at no point did it feel like a grind. It seemed more difficult than 2 (perhaps I didn’t level up my powers/guns as much) but not unfairly so. The story was interesting and the missions varied. I actually went straight on to Andromeda after I finished this, but was not impressed at all. The graphical style of the game is completely different and doesn’t seem to fit at all. The characters are uninteresting and some of the voice acting is pretty bad. Even the depart from the story arc was a little disappointing after all the time I spent with the characters from the original 3. I guess I might go back and give it another shot, but I’m not really feeling it at the moment. Almost forgot. I tried the Origin subscription thing this month (Origin access) as it was reduced. It meant I could try a couple of games that had been on my Steam wishlist for a long time without actually buying them - Hyper Light Drifter and Duskers. They were okay, but I wasn’t particularly impressed, so they’ve been knocked off my wishlist. Not exactly reducing my backlog, but it did help me decide not to buy them and so stop me from increasing the backlog! Good start to the year. Probably because I had time off work and spent a lot of it inside, out of the cold and gaming. I bought quite a few games in Dec and Jan. I didn’t mention the Dec ones in my last post, so I forget when exactly I got the different games but my total number has risen a little since the last post. I think this month it was: Heat Signature - which came with Morphblade, The Long Dark, Basingstoke, and Lovers in a Dangerous Spacetime. Haven’t really put a lot of time into any of these yet as I was focusing on other and older games. Bit of a strange game. Interesting, but I don’t think I could have played it much longer than I did. The main issue I had was the typing method. Basically there’s a kind of internet messenger that you type messages in, but as the messages are set you can’t type what you want. Instead, whatever keys you press a pre-determined message appears. So if I type ‘asdjahsd;khalskfhal;shda;shd’ it might come up with ‘Hi Emily. What have you been up to’ and it’s one keystroke for every keystroke in the message that appears. Playing the game involves doing this a LOT and it gets old quickly. Aside from that there were some good references to the early days of the internet and popular culture which I could relate to. I spent a lot more time on this. 49 hours in total! Unfortunately it doesn’t count towards my statistics on BLAEO or Steam as it’s on the UPlay launcher. I got almost all the achievements, was just left with 4-5 achievements that you can only get by buying a DLC and 1-2 that are online (I’m not very good at the player vs player part!). Fun game. An open world (Just Cause, Far Cry, Saints Row kind of game. Big world and lots to do. It wasn’t too repetitive, but started to drag a little towards the end.l I’m not gonna get the DLC, so I don’t think I”m gonna get much further with this and have uninstalled it. Continuing my trend of using other clients this month, I went onto play Mass Effect on Origin. I’m very slow getting around to playing this. Released in 2007, I bought it in 2012, and last played it in 2015! To be honest, I didn’t remember that much of the story from the parts I’d already played but just continued from my last save. Total play time is 28 hours, but I guess only about 6-8 of that was this month. There are no achievements, and I missed some of the best screenshot moments at the end of the game, only getting one of the ship heading into the distance and the credits. Not very exciting so I haven’t uploaded them. I focused on the main mission and didn’t bother with a lot of the side missions or travelling around the galaxy. I can cross this one off my list now, but I do have other games int he Mass Effect series to play, which leads me onto my next post! After Mass Effect, I went straight onto the second in the series. Another one I was slow to play. Released in 2010, I bought it in 2012, and hadn’t played it before this month.I enjoyed this a lot more than the original. Partly because the graphics were a lot better, but I felt a lot more involved in the story too. It might have been because I played through it all and so the story flowed better than the original. I liked all the characters too, aside from Miranda. 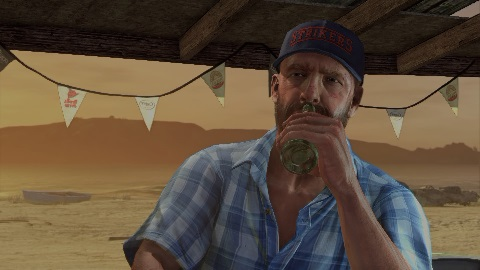 I think I completed all the major missions, got all the crew members and all but 3 of them were loyal to me. Managed to complete the final mission with the entire crew surviving. I couldn’t get any screenshots for this one, key combination I used last time wouldn’t work for some reason. In real life, I found that I have a cataract in one of my eyes. I posted about my eyes getting worse in an earlier post on this site (Jul-Aug), but the opticians I went to at that time didn’t see any problems. It’s very early, as I’m only 37. I thought only people in their 70’s and 80’s get them, but apparently they can start from around 40. Still a bit early. They can also be caused by accidents and blows to the head, which made me think whether 15 years of kickboxing might have had something to do with it (only a hobby so very few fights, but regular sparring). Everything I’ve read suggests it needs to be a pretty big impact though, like a car crash. So don’t think that’s part of it either. Not gonna do much about it just yet, other than get stronger glasses and get regular check ups. My left eye compensates a lot, so I guess that’s a good thing. Just started getting back into the gym after the winter break and then got a cold :-( so that’s something I need to focus on in February before I get fatter! Hope everyone else had a good January! No assassinations for a long time. I’ve been playing sporadically, but not consistently enough to finish any games. I also did a little gaming away from Steam. I picked up Watchdogs 2 from Amazon when it had a price error and have been playing it a lot over the last week during my holidays (29 hours in and at 64%). I haven’t been on Uplay or Origin for a while and have a few games I completely forgot about on there. I should probably include those in my stats somehow or make an effort to play them! I actually did another clear out of games that I didn’t think I’d play again and reduced the number of games I have. Then went on a little buying spree. The total number is still lower. Not that exciting in real life either - work was pretty busy, I went to Hong Kong for a short holiday, and I entered and won a kickboxing tournament. I’m healthy though and nothing really bad happened, so a good year in all! These are my statistics going into 2019. I’m happy I keep these in my profile, as I can see how my backlog has reduced over the last two years. Not much playing time this month. I started Prey and Dead Cells, played Orwell and recently had a crack at Wolfenstein The Old Blood. The Old Blood was a surprisingly short game. I should probably go back and get some of the achievements, but I’ll leave it at beaten for now. Fun game, but I wasn’t keen on the zombie part of the story. It’s rare for me to beat a game as I’ve not been playing much, so feels good to be able to post something here! I knew Orwell was short. The style of the game was pretty novel and it was good to play something a little different. There are different ending, which I should probably try for as they’d be fairly easy achievements to help improve my stats! but we’ll see. I wouldn’t come back for a sequel, but glad I played it. Still busy and still not playing many games! On the plus side, I have completed one game, removed two from my library (Dota 2 - never played it, TF2 - played a bit but never really got into it), and I didn’t buy anything in the sale! I did ‘win’ one game from the very short amount of time I spent on the sale min-game, but not one of the ones I wanted. Hopefully it will be better than I expected. Shadowrun Returns Can’t remember when I got this or whether it was in a bundle. I bought it as I enjoyed Shadowrun: Dragonfall a lot. This seemed a lot shorter game, still enjoyable but I preferred Dragonfall. There are no achievements in this game (unlike Dragonfall) so it makes ‘completing’ the game a lot easier. I’ve finished the story and there are no achievements, so all done! Just checking in, as I’ve done very little gaming. Work has been busy. I’ve played a few hours of Enter The Gungeon in the last week or so, but that’s all. Epistory was a in a bundle I bought a while back, but I didn’t install the game. Decided to give it a go recently. Pretty fun. Nothing like Mavis Beacon, the only other typing ‘game’ I’ve ever tried! I kind of expected this to be more educational in that it would help me to improve my typing. There was no guidance of any kind of how to type, which probably would’ve taken away from the enjoyment of the game, but including something like this might have helped me become better at typing and get those remaining achievements! I could probably get a few more just by playing for a little longer, but I doubt I’ll ever get the 60 wpm and the game doesn’t have enough replay-ability for me to go back and kill 7,500 more enemies I need for one of the others. Anyway, a fun short game (to beat at least) and a new type ;-) of game for me. Other games I’ve played but haven’t finished this month include Streets of Rogue, Poker Night 2, Stardew Valley, Beholder, and Batman: Arkham City GOTY. If anybody would like to add to their backlog, here’s a short giveaway (11 hours or so from this post) for this group and my whitelist. No completions in the last two months. I’m a terrible assassin! I received Stardew Valley from Lilith (^o^)/ at the start of December and have been playing that a lot recently. Other games I’ve made some progress in but haven’t finished over the last two months are - Doom, Enter the Gungeon, Neon Chrome, Spelunky, PixelJunk™ Shooter Ultimate, and The Swapper. I’m not a big fan of The Swapper but am trying to persevere and finish it. Neon Chrome is okay, but can feel my attention waning on that one too. The others are good and I’ll continue with them. I had another clean out of games that I won’t play or are multiplayer only with dead servers. One slighly annoying thing is that games from bundles are registered on Steam together, so I can’t delete one without losing the others too. Guess I’ll just have to hide them, learn to love them, or ignore them in my library. The end of 2017 marks one year for me on BLAEO. At the start of the year, I made a lot of progress. Probably because I could choose from a lot of games and concentrate on the easier ones to complete, I also had a bit more time. Things have slowed down a lot since then and I haven’t beaten or completed many games. However, the site has built some good habits in my gaming. It’s encouraged me to play games I had ignored in my library, clear out ones I’ll never play, and has also made me think more carefully about what I buy. So, while I haven’t completed as many games as I’d like, the site has helped me a lot! Galactic Arms Race was a SG win that I never really played. I put about 8 hours into it over October. Completed all the single player missions and collected a few achievements on the way. A lot of the remaining achievements require grinding or other players. As the multiplayer seems dead and I don’t really like the game, I’m gonna mark this as beaten based on the missions. Unlikely I’ll get to complete it. Not much else to tell. I’ve been busy, so my gaming has just involved quick games of Spelunky, Enter the Gungeon and Nuclear Throne. All games that are easy to play for 10-20 minutes at a time, but unfortunately all games that I’m very bad at! No making much progress in any of them tbh.